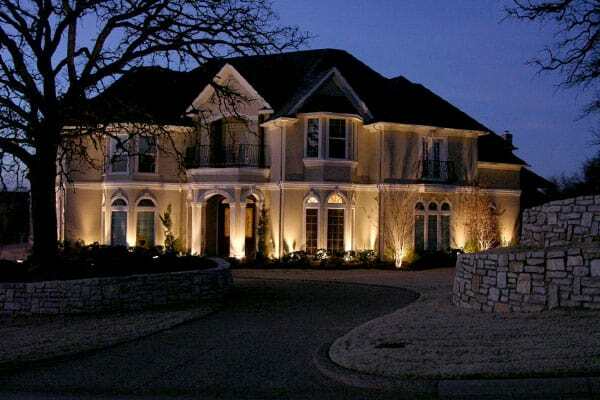 LED low voltage outdoor lighting options are great for providing you and your property with more security, but they can also offer you plenty of options for style. The type of lights you use, along with the colors of the lights you select, can make a very big difference in the way your yard and the outdoor area looks. Blues and greens are popular, along with clear and yellow lights, but you can easily choose something that is more unique. You may also want to change some of your outdoor lights when the seasons change, or for a holiday, party, or other special occasions. That can really impress your Trophy Club neighbors and can help show off your individual style. When you decide to use color in your lighting options, especially if you’re going to change colors on a regular basis, it’s a great idea to work with a company that offers maintenance contracts and other types of help. By having people on your side when it comes to maintaining your lights, you can keep them looking great and serviced on a schedule that works for you. It’s an excellent way to have unique landscape lighting that can be updated to enhance your latest outdoor inspiration. 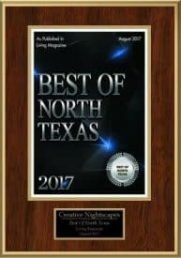 There are so many great parks in Trophy Club, TX that you can enjoy either on your own or with friends and family members. Boating, swimming, hiking, golfing, fishing, biking, hunting, and a number of other activities are all right at your fingertips. If you like to do things outdoors, you can easily find something close to home that can take you on a great and exciting adventure. Trophy Club Park, Independence Park, Freedom Dog Park, and Harmony Park are all popular places to get involved with friends and neighbors, be active, and enjoy nature. There’s more to Trophy Club than just parks and green spaces, though. There is a big community pool that also features a baby pool and a splash pad. Trophy Club Park, Independence Park, Freedom Dog Park, and Harmony Park are all popular places to get involved with friends and neighbors, be active, and enjoy nature. There’s more to Trophy Club than just parks and green spaces, though. There is a big community pool that also features a baby pool and a splash pad. If you like learning about history, Medlin Cemetery is the place to go. It offers more than 10.5 acres of rich history, so you can learn about the early settlers in the town. Built in 1850, the cemetery is a beautiful place to explore and learn about the town you call home. Installed Kichler LED outdoor lighting at home in Lakes of Trophy Club. Mounted down lights and hardscape lights to highlight the garage door, pool deck, back yard, and seating area. Placed up lights to accent facade of home, columns, Oak trees, Palm tree, Ornamental Grasses, and Banana trees. Installed Kichler LED landscape lighting at home in Canterbury Hills. Mounted down lights to illuminate driveway, yard for dogs, trees, and brick wall in back yard. Placed up lights to accent trees. Set lights along driveway to softly illuminate the edge of driveway. Installed LED landscape lighting at home in The Highlands at Trophy Club. Used up lights and spot lights to accent the columns and facade of front of home. Installed Kichler LED lighting at home in Trophy Club on 11/22/2016. Performed maintenance for a residential client in Hogans Glen; cleaned and tested all Kichler LED and existing fixtures, replaced one bulb in a tree. Performed semi-annual maintenance for a residential client in Trophy Club; tested and cleaned all Unique and Garden Light fixtures; replaced eight halogen bulbs and one socket, and adjusted on/off times for digital timer.